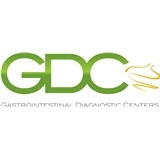 Gastrointestinal Diagnostic Centers (Pembroke Pines) - Book Appointment Online! Know and like the Doctor. Overcharged for my copayment and when I said it was wrong I was told that it was verified on 12/6. Later I was told by my Insurance that I was right but now I have to talk to the billing dept. I could only leave a voice mail. The doctor was very cordial and ask follow-up questions to all my concerns. He frequently ask if I had anything else to add and did I have any questions. He was moving fast since I was his last appointment, but he manage to maintain his professional and courteous approach. Overall very satisfying visit, will definitely return to him in the future.